Category: Solid Braids. Tag: Solid Braid Polyester. Solid Braid polyester is a strong, soft, lightweight cord with excellent resistance to rot, abrasion, mildew, petroleum products and most chemicals. 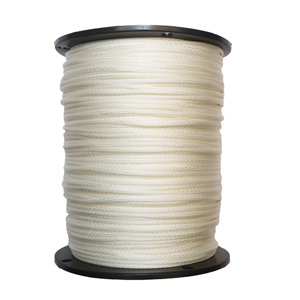 It has lower elasticity properties than the solid braid nylon which allows it to withstand great strain and its braided construction stays round and works well with pulleys.